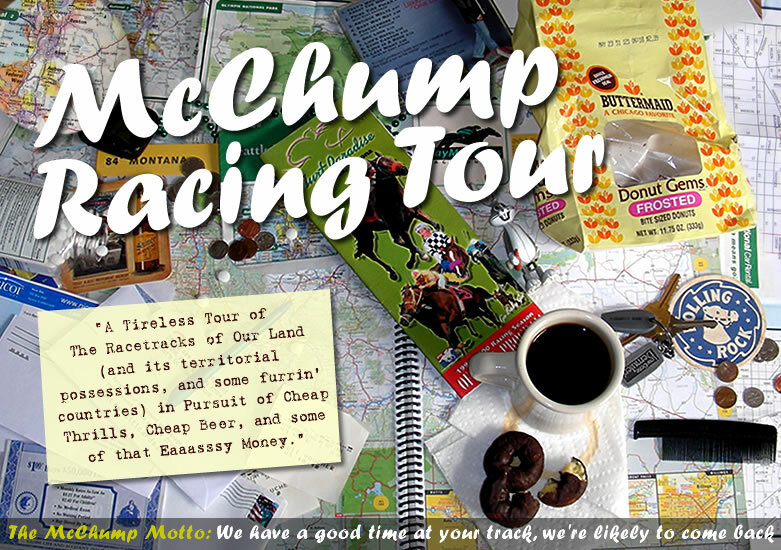 Horse racing stories and racetrack visits, tall tales and rants, and photos. No picks, no products, no banner ads, and no ripoffs. Just a good old-fashioned waste of your time since 1994, and damn proud of it. That's Right, Chump! March 13, 2019 was the 25th! So what's new? NEW YEARS! NEW STORIES! FILLING "MISSING" OLD STORIES! Picture Gallery with way more/better pictures!